After the boring city tour and the quick lunch at a fastfood joint near the hotel, we headed to Vivo City for the Sentosa tour. To get there, we rode the MRT from Little India Station to Harbor Front Station where Vivo City is. 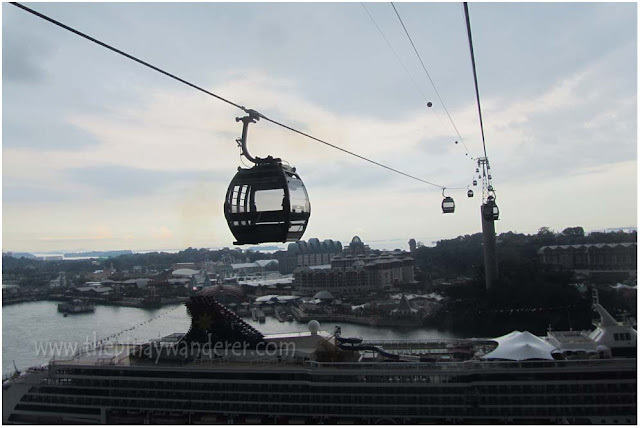 There are several ways to get to Sentosa Island and one of them is through cable car ride which we want to experience. So after going around the mall and after buying some souvenir items, we went to the ticket booth to buy tickets for the cable car ride. In the ticketing area, we saw some flyers that showcase different package tours to Sentosa Island. 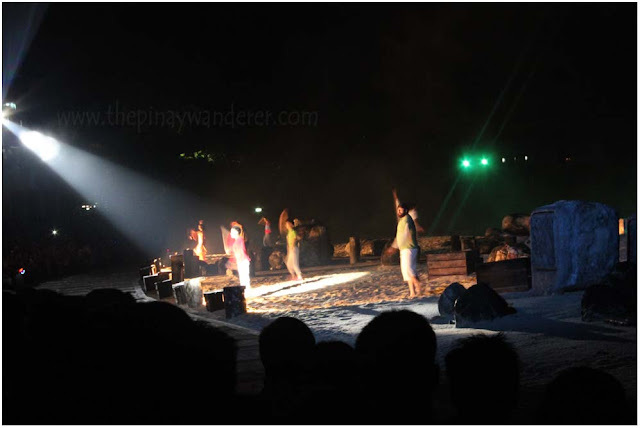 One of these package tours is the Night Experience Package (SGD38) where we can save up to 43% off the ticket price. The catch? We have to wait for 5PM before we can purchase it. If I remember it right, it was just past 3PM then, a lot of waiting time yes but since we're looking for a package where we can save money, we waited for it. To pass the time, we went back to the mall and window shop. I also went back to the perfume store I checked out before to buy a friend's request (a friend gave me money to buy her a perfume). 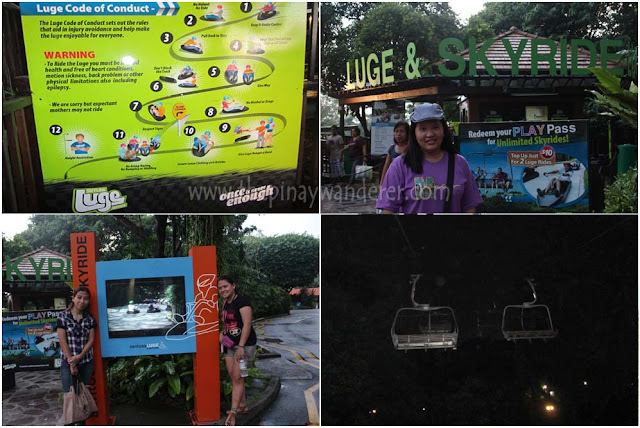 This cable car ride is one of my unforgettable experience in Singapore. I am afraid of heights and though I knew it before I hopped in, I never thought I would be so consumed by it. During the cable car ride, it feels like everything is in slow motion, I am so afraid I couldn't even move in my seat. I was so frozen with fear I started crying. Yes peeps, you read it right, I cried! 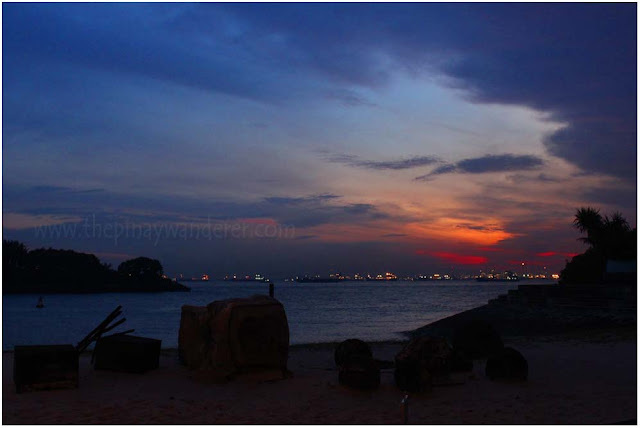 And because of that, I never get to enjoy the magnificent view of Sentosa Island below. I was not able to take pictures too...tsk tsk! With this experience, you think I wouldn't ride this cable car again. But you're wrong! I am a masochist I rode with it again back to Vivo City. *wink* That, or I'll be looking for a bus ride on my own. Anyway, the second time around is not as fearful as the first one, I was able to somehow control my fear I didn't cry again. And I was able to take pictures too. Too bad, the pictures are blurry...pfft! 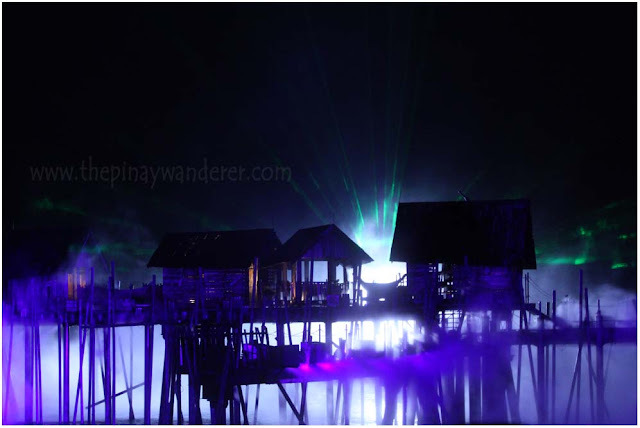 Songs of the Sea is a multimedia show set in the sea (of course) and held in Siloso Beach in Sentosa Island. 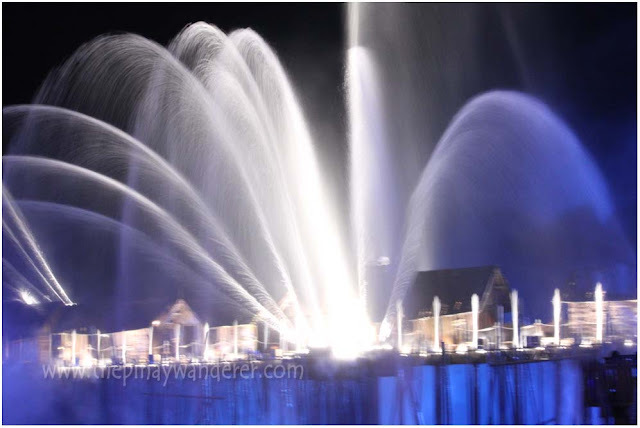 It is a fantastic show of fireworks, laser and flame burst display as well as live performance from the casts. The show revolves around Li, (the main character) and his discovery of Princess Ami, a sleeping princess, as well as his quest to awaken her through his songs. welcome po ;-) bz kapa bah sa SG tour mo? dropping by lang. Eto pala ang iniyakan mo ng 2 beses ah! Haha! Grabe naman ang fear mo, pero proud pa rin ako sayo kasi kahit natakot ka, ginawa mo pa rin.. Pero kung ako yan sa cable car, lalo na sa skyride, super enjoy, hehe! 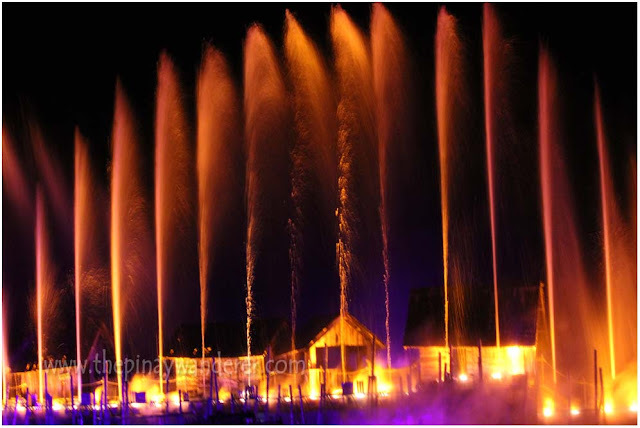 Sarap siguro panuorin ng light show! WOw! galing ng mga images mo. Like ko yang cable car at isang beses pa lang ako nakasakay nyan..hehehheh..pero ang sarap ng experience. hehe...embarrassing nga eh. actually I've partial fear of heights, if it's a slow ride like cable car/skyride I am really scared I can't control my fear. but I can do roller coaster rides and the likes, maybe because they're fast, I've no time getting scared...hehe! mag-SG ka na pag-uwi mo, kahit 1 or 2 nights lang, nag-stopover ka rin naman dun eh. mahal pamasahe Oslo-Singapore one-way e, pero if Galing ako ng Cebu-Singapore-Cebu medyo mura then two-way ticket yung Oslo-Cebu-Oslo ko if you know what i mean. Katakot pala yang cable car i thot masaya, i have same fear as yours e.
Gusto ko din mag SG!!! 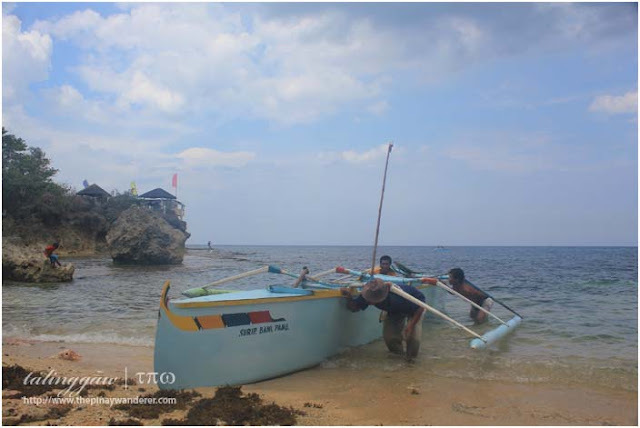 Baka sa 2014. Ang tagal no? d kasi kami pwede next year e. Natawa naman ako sayo. Matatakutin ka pala. hehehe! Di pa nga masyadong scary yung halloween post ko. Yung sister ko talaga ang mahilg sa mga creepy halloween food. lol! may piso-fare ang cebupac gurl, sana kumuha ka. ang yaman kainggit lng much! di ko pa natry yang luge and skyride at kung maka NEVER EVER ka naman hahaha wagas!